Last week we addressed the issue of the extent to which stories are autobiographical. Now let’s talk about something more basic. I often hear people say, “I’ve always wanted to write,” or “I’d write, if only I could find the time.” The second comment is the easiest to address. Let me tell you, you do have the time. Can you spare 15 minutes, one day a week? If not, you will probably die of anxiety or exhaustion, or are so completely fulfilled that you really don’t need, or want, to write after all. Consider: Grab a Composition Book at the local supermarket in the school supplies section. Or just use your Word Processor. 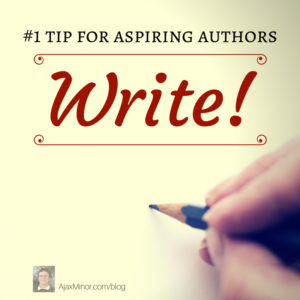 During those 15 minutes, once a week, write one hundred words. I think a prose writer can do that. Do the math. In one year you will have written 5200 words. That’s a nice short story. I Married a Butterfly is only 3000 words and is, while short, a complete story. The year will pass in any event and, barring death, you will finish it either with a piece of writing or without one. So, do you want to write or don’t you? We’ve established that you have the time. The arithmetic is simpler, but the process harder for poetry. I can vouch for this, since I’ve written some poems; though I am clearly not a poet. Novels, of course, require more of a time commitment, either in terms of hours per week or as the sum of months or years. One thing that is absolutely necessary is to have a good grasp of the fundamentals of modern exposition. Unless you are a bona-fide genius with a revolutionary style that resonates with a large audience, you have to observe current conventions: Point of View, dialogue tags, well defined genre. Then again, since I fail utterly on genre, I should probably say you need to be aware of modern conventions. Read and keep handy at all times ‘Elements of Style’—it’s been a major help to me for my writing!